Okay, here’s the BIG news you have all been waiting for… Justin has just delivered the manuscript for the first book in his NEW sequence. The title of the sequence… drum roll, please… is ENEMIES OF THE PRINCE. The first book is called ALLIES & ASSASSINS and will be published in Autumn 2013 by Atom Books in the UK and by Little Brown, and Company in the USA in 2014. How’s that for starters, people? Rest assured, over the coming months, we’ll be getting Justin to offer up more information about ENEMIES OF THE PRINCE, ALLIES & ASSASSINS and his intriguing new cast of characters. Wow after following the world of vampirates i cant wait to see this! Finally we have a name ! An intersting one that I will be looking forward to learning more about the characters and how they act , also curious about what they will look like along with the cover of the series. Will we discover how many books will come in to play in this exciting new story ? YUSSS! A brand new series! I’ve been waiting for this! I´m going to faint… I´m going to faint… THIS IS SO AWESOME!!! Sounds awesome!! And also, you still plan on writing a novella or two about vampirate crossing stories right? RIGHT?! One thing, what is about a book called the crossing stories? can someone help me, please? EEEEEEEEEE! I can’t waaaaiiiit! I’ll just have to buy it, when it comes in the UK, instead of waiting for Little Brown to release it! So exciting!!! I can’t wait to read this book!!!! I’ll be waiting for it!!!!!! Can’t wait! I wonder if Connor or Grace will make a cameo? More books from the same AMAZING author! ” The ride is far from over”!!! 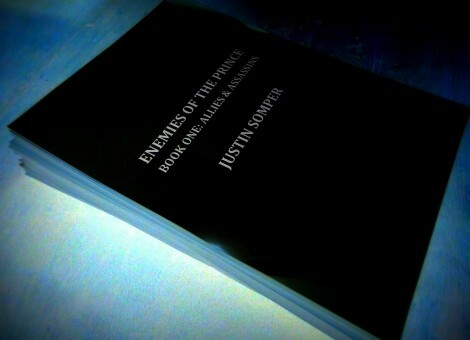 MY TIME HAS COME TO READ JUSTIN SOMPER BOOKS AGAIN!!!!!!!!!!!!!!!!!!!!!!!!!!!!!!!!!!! Hey is justin making a movie out of vampirates??? He should it would be cool to see it!! Is still a ton of loose ends. Does Conner actually turn mortal? Does Lola strike back? Does lorcan and Grace keep and raise baby evil? The new seiries sounds great but I can’t start a new one until I know what happens. I Love the Vampirate series. Thank You. So will there be a novel on rest of the families, shall we say, unfinished business. This is for John: I imagine that Lola skrikes back and takes evil away and Dexter and Sally come back to life and Conner just loses his power but he’s still imortal and he marry’s Jasmine and lives on the Nocturne with the newly marryed Grace and Lorcan and they all live happily ever after on the Nocture! See it all works out my way! I think Conner will just lose his dhampir powers but he’ll still live forever. As for Lola, I think she’ll attack the Nocturne and steal Evil back. Johnny and Jez will move to the Nocturne. Dexter and Sally will come back to life and live on the Nocturne. Conner and Jasmine will marry because Jacoby will marry Luna. Lorcan will marry Grace snd they’ll all live happily ever after on the Nocturne. Apart from Lola and Evil they stay on their own ship. Ok, I am going to die here, has Conner completed his voyage? And did the second set of twins ever reunite? So much unfinished business? When will we know? Hi! You’ve found the official online home of the Vampirates books. Climb aboard for a voyage across the high seas packed with swashbuckling adventure, mystery and horror. But be warned… this journey is not for the faint-hearted!